Happy Saturday! 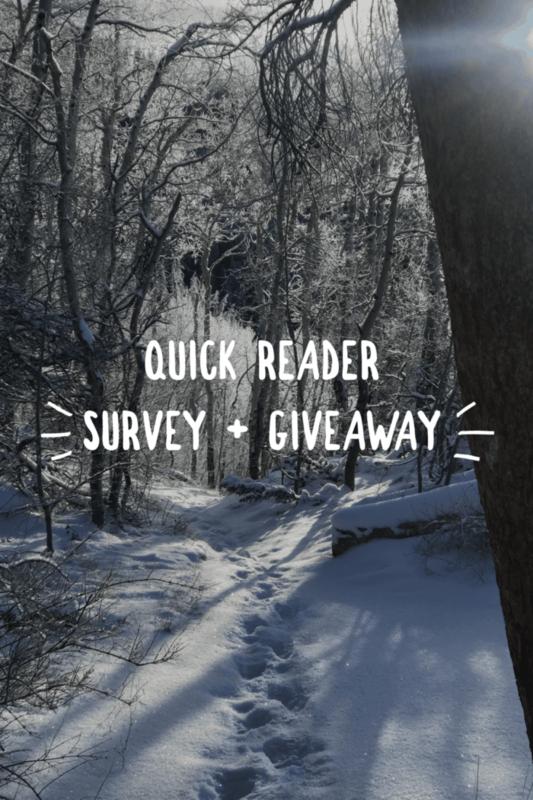 Stopping by for a super quick post, and asking for your help in this quick reader survey + giveaway. For the first time ever HBH is doing a reader survey. We’re working on some exciting projects behind the scenes and this survey will help us to better understand what you guys want and love most about HBH. 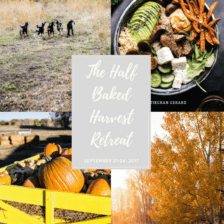 As a thank you for taking the survey, I’m giving away 5 signed copies of the Half Baked Harvest Cookbook. All you have to do to enter for a chance to win is complete this survey, which will take about five minutes tops. It’s super simple and super easy! The giveaway is open to only US followers. So sorry to everyone else. Working to get a giveaway live that everyone can enter. Thank you again for all your continued support. Hope you’re having a great weekend and see you tomorrow for Nine Favorite Things! 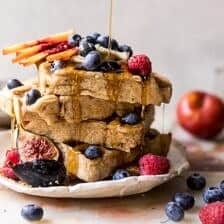 Freezer Friendly Whole Grain Waffles. Thank you Liz! I hope you had an amazing weekend! Hi there- I tried filling out your survey but apparently can’t send it with a Candian address! Did survey but could not enter it. Thank you Sally! Do you live outside of the US? This could be why! Hi Tieghan, I just filled in the form. It looks like it only applies to U.S. participants as I couldn’t choose another address other than American? Anyway, even if I don’t count as I am in Germany, I am happy to help and wish you all the best! So sorry about that! Thank you Ania! Thank you for the giveaway!!! I’ve bought 2 of your beautiful books so far! I keep giving mine as gifts! Thank you so much Cathy! I hope you had a great weekend! ,aybe give a heads up that the contest is only for USA .. got all the way to the end and couldn’t enter. I apologize for that! Thank you for filling it out though! Happy to fill out the survey, but I wish Canadian addresses were eligible too! I completed the survey but it wasn’t accepted I guess because I live in Canada. It was a waste of my time. I still love your recipes though. Hi Marilyn! I am so sorry about that! Thank you for filling it out though, I really appreciate it! 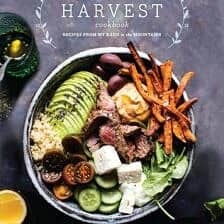 You should make a note that entries for the cookbooks are only available to U.S. residents. Have a good day! Hi Nicole! I am so sorry about that, I will note this next time! I hope you have a great day as well! I completed your survey then discovered that I can’t enter your draw because it looks like only people living in the USA can enter. There is no option for choosing a Canadian province when completing the address portion. That is sad…I am sure I am not the only person following you who lives outside the USA. Hi Joanne! I am so sorry about that, but it is out of my control! I would love to make it available to you guys if I could! Thank you for filling out the survey though! You have to choose the state you live in but I live in London, UK. Hi Alex! I am so sorry about that, but it is only for US residents. Thank you for filling out the survey! Just finished the survey! Have a great weekend! I am so glad you like the book and apologize that this is not open to non US residents! Thank you for filling out the survey though Samantha! I completed the survey! And I’m looking forward to your nine favorites post tomorrow. I am so sorry about this Marie! Thank you Linda! I am so happy you enjoyed the fettuccine! Just made your moms chocolate chip cookies. Love them. 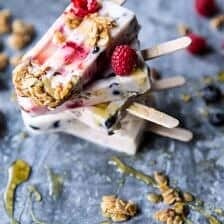 I want normal healthy food that is affordable to make. I love your photos of the recipes. You are so talented. Awh thank you so much Shirley! That really means a lot to me!